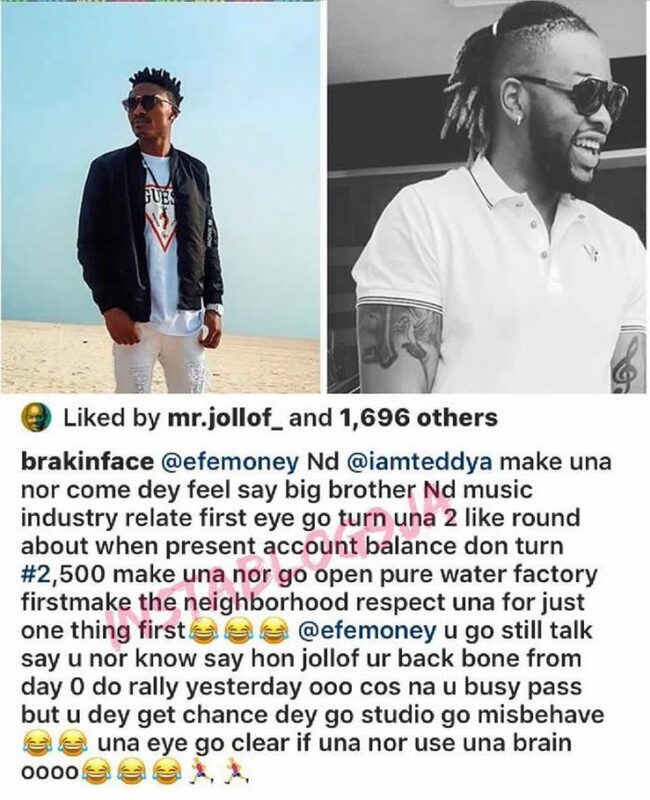 A Nollywood actor, Brakin Face has taken to social media to share a rather peculiar advice to BBNaija stars, Efe and Teddy A as regards their music careers. According to him, the two should stop wasting their time and delve into other businesses like sachet water production before they go completely broke. What Do You Think About His Comment About The Duo, Sense Or Trash?